UPDATE: The Cool Tip.com Tech Tip podcast is now on Tunein Radio! Read more about it HERE. Technology has greatly changed how we listen to music. We can now have all of our music in one place and take our music with us wherever we go with the advent of smart phones and tablets. Streaming services like Pandora, IHeartRadio and Spotify have become immensely popular. But sometimes we like to find radio stations from real places with real people. 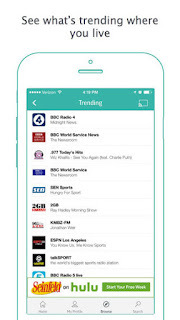 The best option for finding local radio stations that are available online is with Tunein. And it's not just for music. Music, Sports, Talk, and News are all available. But for me, the best option is to be able to find local stations. There's a link to find local stations where where you are currently located. But you can also search for specific locations from around the world. Want to know what is going on in Los Angeles? Check out the 24 hour news radio KNX. Want to check out the pop music scene in London, UK? Check out Heart London. How about the music scene from Madrid? Check out Hit FM 89.9? 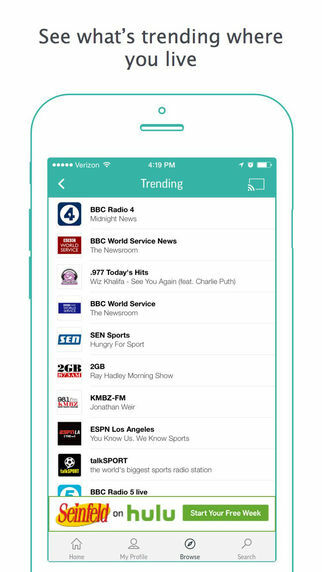 TuneIn also has mobile apps so you can listen to your stations wherever you go. Remember streaming services can deplete your mobile data minutes so use when you are on unlimited WiFi or an unlimited data plan.